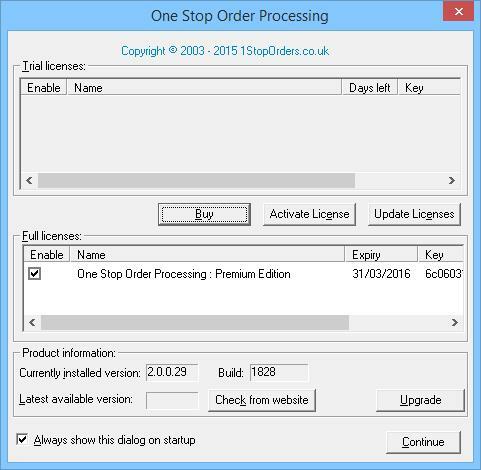 The following guide explains how to install One Stop Order Processing. 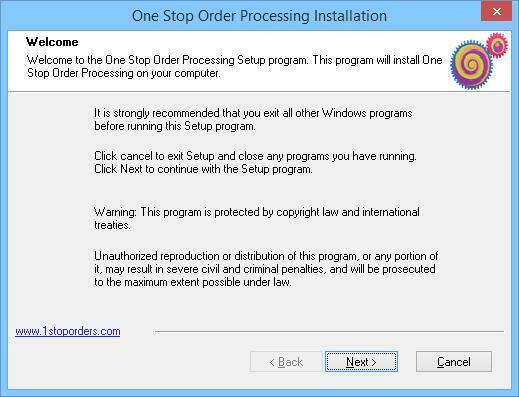 For a full video tutorial on how to install One Stop Order Processing, click here. Once you have finished the installation steps, we recommend that you complete the Quick Setup Wizard. This allows you to enter in basic information to help get you started, click here for help on the Quick Setup Wizard. 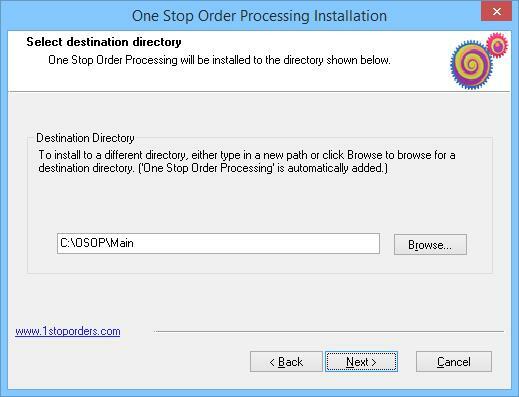 This is the first step of the installation for One Stop Order Processing. Continue by clicking 'Next'. 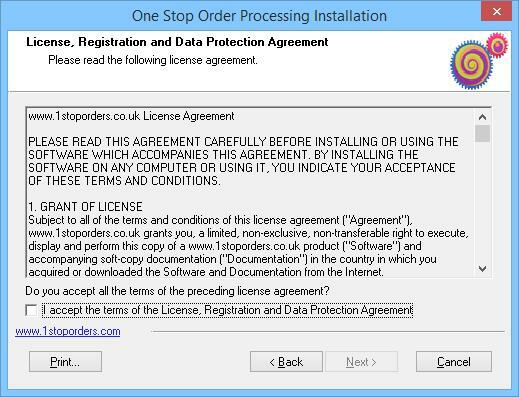 The terms and conditions of using the software are displayed which should be read through before being agreed to by ticking the box below. Click 'Next' to continue with the installation process. 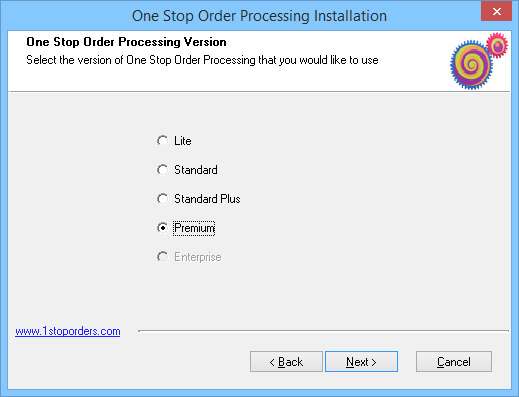 This step is where you select which version of One Stop Order Processing you would like to run, once selected continue by clicking 'Next'. Now you can choose the destination of which you would like the software to install to and continue by clicking 'Next'. 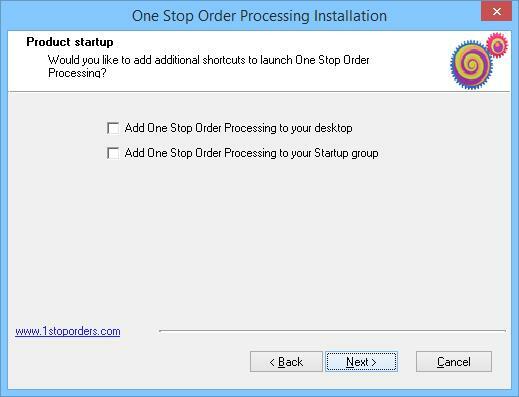 You now get the option to add One Stop Order Processing to your desktop and Startup group, continue by clicking 'Next'. 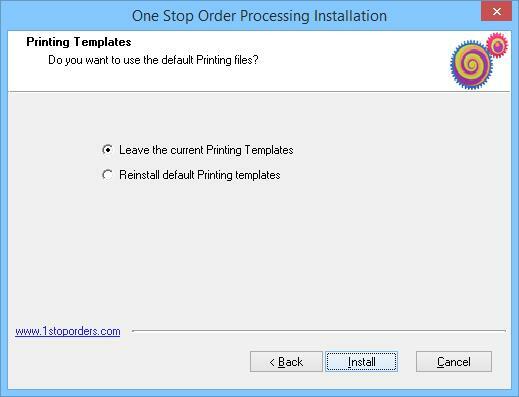 If you have previously installed One Stop Order Processing, here is where you get the option to reinstall any previous printing templates. This is the end of the installation for One Stop Order Processing, click Finish to complete the install and run the programme. If you have been sent your licence for One Stop Order Processing, this is where you would enter in your licence key and activate the licence entered. 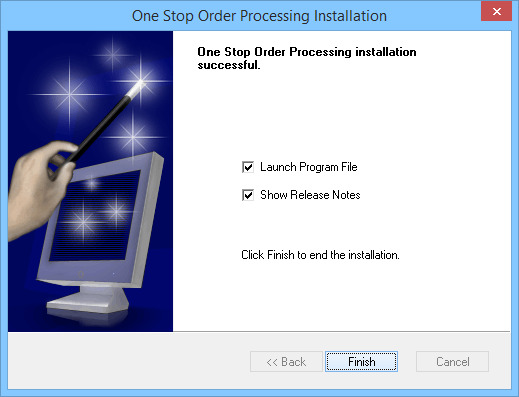 Once you have completed these steps of installation for One Stop Order Processing, you will be able to start the Quick Setup Wizard which will be shown when you open the application. Click here for more help on the Quick Setup Wizard.